HTC didn’t reveal any new flagship device at the Mobile World Congress 2017 as rumored. However, don’t worry if you were disappointed as the company is all set to unveil their upcoming flagship and the successor to the HTC 10 in an upcoming event. We don’t know much about the smartphone officially but we do know it will be out soon and what to expect inside. 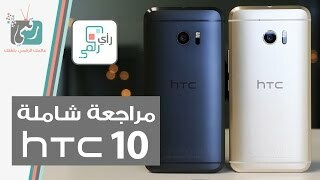 Before we get to the specs, let’s find out the HTC 11 Kuwait price first. 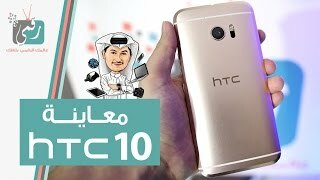 It’s expected to be around 200 KWD if not more right after the HTC 11 release date Kuwait. There are some changes expected in design and that’s not the only change to look forward to. HTC is planning to go with a different name this time as the HTC U Vive or HTC U which the HTC 11 is just a rumored name at this point. The screen size will be promoted to 5.5-inch this time showing 2560 x 1440 pixels resolution. We did notice a lot of changes in the HTC 10 compared to its predecessors including the HTC One M9 so we are not expecting any major change this time. There are no leaked images so we have to depend on these rumors and rendered pictures for now. A lot of smartphones are packing the new dual camera feature nowadays and it’s expected show up in the HTC 11 as well. There won’t be any change in megapixel but users will get two camera this time which means bokeh pictures and better zooming features. The front camera however, has changed and now it’s an 8-megapixel one which means better selfies for selfie lovers. We will have to wait for the HTC 11 release date Kuwait to find out how it performs in real life. There is the iPhone 7 Plus and Google Pixel XL if you are looking for a better camera and don’t want to wait. These are almost in the same pricing range as the HTC 11 Kuwait price. People were not satisfied with HTC 10’s battery life and things are expected to get better in the upcoming HTC 11. It’s expected to be a 3700mAh battery this time with Quick Charge 4.0. The HTC 11 was rumored to pack the upcoming Qualcomm Snapdragon 835 processor but there is a news that before the announcement of the upcoming Samsung Galaxy S8, no other companies will be allowed to use this processor. It’s either the Snapdragon 835 or the older Snapdragon 821 with 8GB or 4/6GB of RAM. As mentioned, everything is based on rumor at this point so it will be a good idea to take these information with a grain of salt. The HTC 11 is expected to be unveiled at an event on 20 March as teased by HTC. If you are satisfied with the HTC 11 Kuwait price, you can look out for this phone in the market sometimes in March or April, 2017. The 11 Mobile Phone is manufactured by HTC and was added around March 2017 and is part of the HTC 11 series.